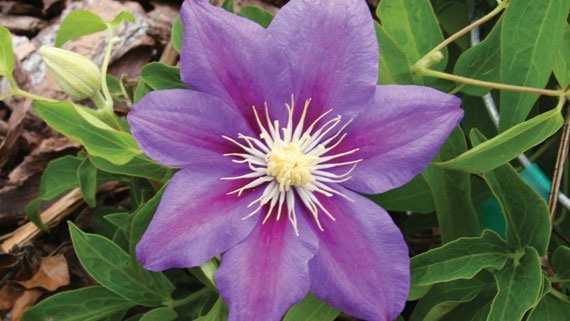 Large mauve-blue or violet flowers with a redder stripe. Creamy-yellow anthers on white filaments. Named in 1947 after Rowland Jackman's wife. According to Toomey & Leeds (2001), Rowland Jackman's propagator, A Voneshon, though that ‘Barbara Jackman’ could have been a seedling of C patents. John Howells suggests that the form may be faintly scented.